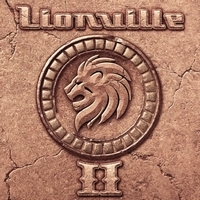 Italian outfit Lionville is back with their second album, simply called II. Lionville is sticking to AOR with some Westcoast elements, so the opener All We Need has passages which remind me of Chicago... At Higher ex-Chicago member Bill Champlin and his wife Tamara join in ennoble the track with their voices. Songs like Next To Me should please fans of Richard Marx, Jimi Jamison, Stan Bush and Pride Of Lions. With Waiting For A Star To Fall they cover the 1988 hit of Boy Meets Girl - and Lionville try to find a balance between 80's pop rock and modern AOR. After the cover Don't Walk Away sounds a notch heavier, but it's still AOR - but with heavy riffs. At Shining Over Me the keyboard gives it an 80's touch, but it's the singing guitar which draws you in. The closer Open Your Heart also has this 80's feel, but it's the melancholy edge which make it differ from the other songs. For me one of the best songs, but actually there isn't any filler. So if you like their debut, don't hesitate to get this album! But I think everybody who loves AOR and the Westcoast sound will fall for II! 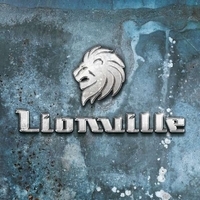 Lionville is a musical project of the Italian guitarist and singer Stefano Lionetti who tries to build his music up with influences from 80's band like Toto, Journey, Bryan Adams and others. With him in the project is Lars Säfsund, Tommy Denander and also vocalist Arabella Vitanc. Although Lionetti is trying his best to make good and catchy songs, it all suffers from no sharpness and this album will probably not be remembered very long. Most of the songs are quite anonymous, slow ballads but with absolutely no bite. There are also some good songs among the 11 tracks, Here By My Side is with a melodic line and with a rhythm that could easily be found in the songs Bryan Adams comes with. Thunder In My Heart is acceptable with its melodic hard tempo metal sound that freshens up the album. The best song on the album is the song that Tommy Denander co-wrote with Lionetti, The Chosen Ones. A great tempo, getting more and more catchy as it goes along, superb duet between Lars Säfsund and Arabella Vitanc (new singer of Alyson Avenue). But I really doubt that the interest for this album can be kept alive very long.